Wake up all you pallet lovers, this is some really high time to get on your toes and get your work started. 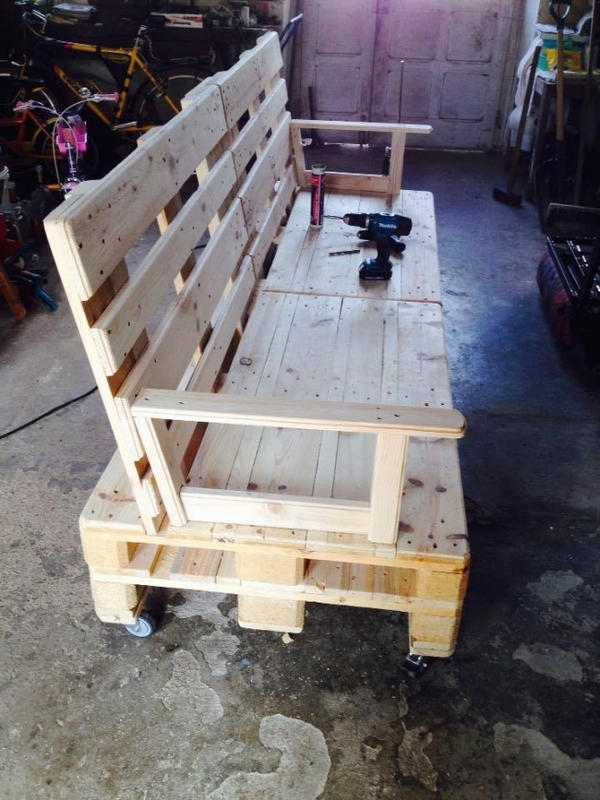 We have got here an exciting plan of recycling a pallet wooden sofa on wheels. 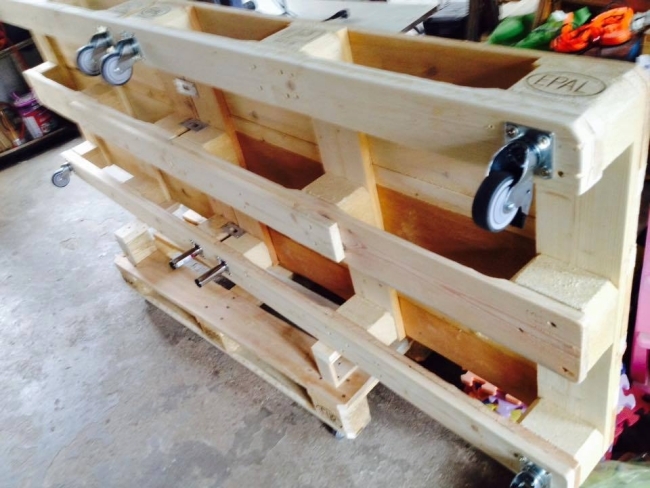 This is going to be one of your most exciting plans you have recycled with pallet wood so far. A pallet sofa is something pretty encouraging to work on as the end product would give you a lot of utility and you would be having a full fledge sofa without any major costs. Same wooden sofa we buy from the market against a bunch of bucks. Sofa is one of the most important items in furniture range. We spend a large amount in purchasing these wooden furniture items, and sometimes we are yet not happy with the product because we wanted something else. We wanted the sofa to be a little bigger, or with some shinier color, and some leather cushions. All of these issued could easily be fixed by learning the art of wooden pallet recycling, and it doesn’t take any rocket science to learn the pallet wood recycling. 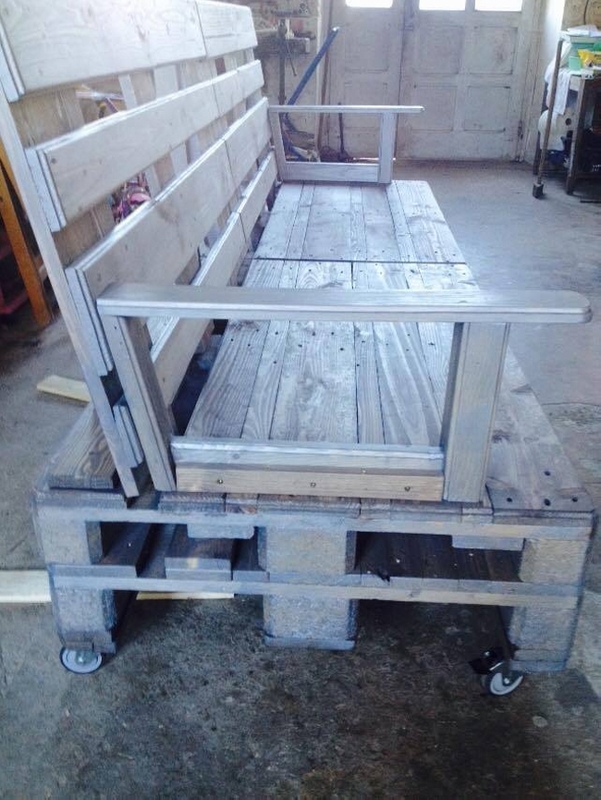 This pallet wood sofa on wheels is a classic example. This is huge wooden pallet sofa made using the raw wooden pallet planks. 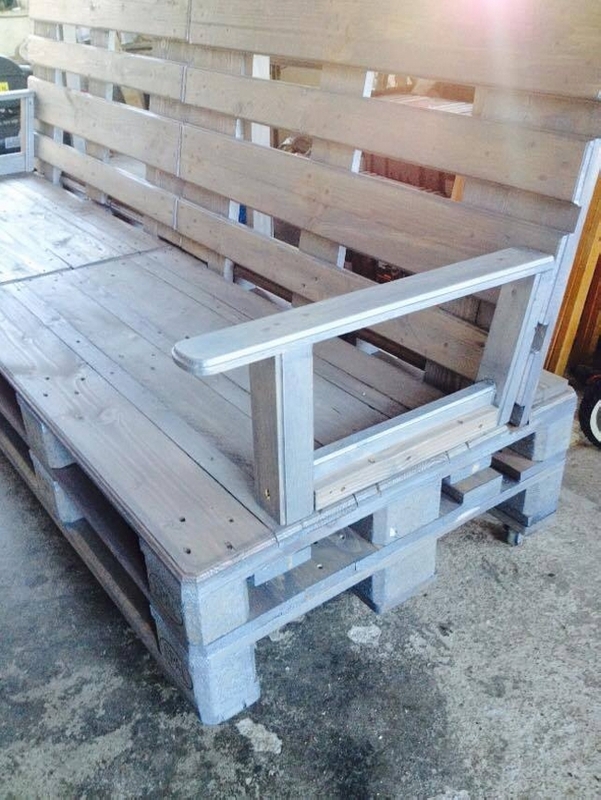 Some huge pallets pretty fresh condition wise are used in making its structure, its arm rests are unique and its shape is also very attractive. This is quite huge as compared to the conventional market based sofas. Now have a look on its additional feature, its wheels. Wheels for a sofa are something un common, but such a huge wooden pallet sofa is not that easy to shift to some other spot. So its wheels are meant to give you all the ease to drag it with a single push.